A TROUBLED specialist clothing company which has gone bust got tens of thousands of euro in State hand-outs, official figures reveal. 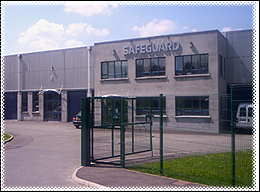 A creditor’s meeting has been called for Safeguard Protective Clothing Manufacturers in Ballybofey. Now it has been revealed that company received substantial state grants from Enterprise Ireland. Between 2006 and 2008 the company was given more than €155,000 in grants. The company was established in March 1999 and it has a UK office in Manchester, England. It’s local base was at the Northern Point business centre. A creditor’s meeting will take place at the An Grianan Hotel in Burt on Tuesday week, January 17th, at 9.15am. Safeguard was at the forefront of the latest developments within the workwear clothing industry, in particular high visibility and flame retardant workwear as well as GORE-TEX Rainwear. The company had developed state of the art fabric and material technologies and innovative product designs to create a reputation as a leading innovator within the workwear market.